Erin’s Campaign for Kids aims to combat the high incidence and mortality rates of sepsis among children. The campaign creates awards and training programs for nurses and other health professionals to help identify and treat a disease that, by conservative estimates, causes over 18 child deaths per day or 6,800 child deaths in the United States every year, more than pediatric cancers. 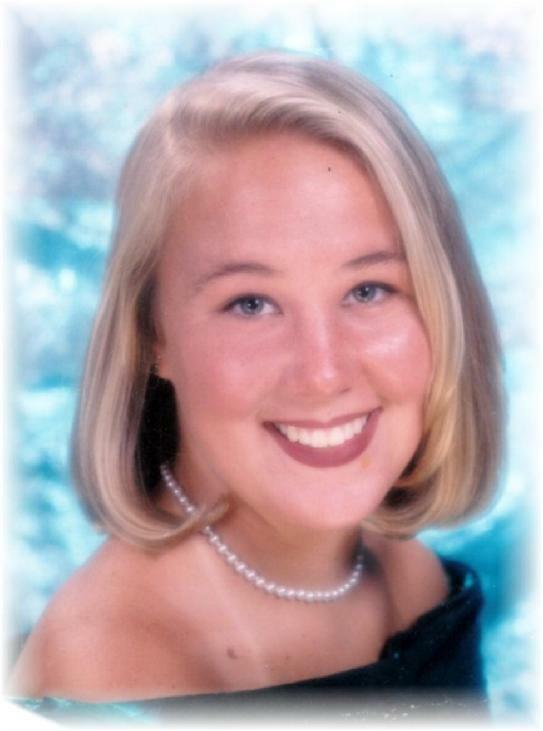 The campaign is named in honor of Erin Kay Flatley, an aspiring teacher, who died at the age of 23, from sepsis that developed following a routine surgery. Erin’s spirit lives on through the creation of Sepsis Alliance. Erin’s Campaign for Kids is a first-of-its-kind initiative, created to address an unmet need: the devastating impact of sepsis on children. Programs recognize excellence in pediatric nursing and also designate an Erin Kay Flatley Spirit Award at the Sepsis Alliance annual Sepsis Heroes gala. The campaign has also produced the award-winning educational video “Sepsis and Children,” conducted a national survey of parents’ sepsis awareness, distributed thousands of pediatric sepsis information guides, and created a pediatric sepsis symptoms card (see below). Click here to read Erin’s Faces of Sepsis story. Meet the 2018 award winners, just click here! Sepsis Alliance recognizes healthcare professionals in four categories who demonstrate excellence in their work and a commitment to improving outcomes among sepsis patients. These categories include two pediatric nurses, a licensed pediatric nurse from anywhere on the globe, two nursing students and a sepsis coordinator. The application deadline for all four categories is April 26, 2019. To learn more about each category and how to apply, click here. Licensed pediatric nurses living in the United States who are dedicated to improving outcomes among pediatric patients with sepsis. Two awards will be granted in this category. Each awardee will receive a $2,500 grant and domestic airfare for one to New York to attend the Sepsis Heroes Gala on September 12, 2019 where they will be recognized. In addition, they will receive a one-night hotel stay. Each awardee is invited to bring a guest with them to the Gala. Licensed pediatric nurses NOT living in the United States who are dedicated to improving outcomes among pediatric patients with sepsis. One award will be granted in this category. The selected awardee will receive a $1,000 grant. Sepsis Coordinators living in the United States who are dedicated to improving outcomes among patients with sepsis. One award will be granted in this category. The selected awardee will receive a $2,500 grant and domestic airfare for one to New York to attend the Sepsis Heroes Gala on September 12, 2019 where they will be recognized. In addition, they will receive a one-night hotel stay. Each awardee is invited to bring a guest with them to the Gala. Nursing students currently enrolled in an accredited academic institution who have demonstrated their interest and dedication to improving outcomes among patients with sepsis. Two awards will be granted in this category. The selected awardees will receive a $1,000 grant. The Erin Kay Flatley Spirit Award recognizes outstanding dedication, sacrifice and contribution to improving the care and lives of sepsis patients. Erin was a passionate young woman who wanted to be an elementary school teacher. Her desire to give back to society is the basis for this award recognition. Erin was a passionate young woman who wanted to be an elementary school teacher. Her desire to give back to society is the basis for this award recognition. The award recognizes one organization or individual each year and is presented at the annual Sepsis Heroes gala in New York City. Spirit Award recipients effectively bring Erin’s spirit to the fight against sepsis and are selected by a panel of experts. Recipients receive a $5,000 award to further their work. The recipients of the 2017 Spirit Award were Liz and Tony Galbo, who tragically lost their five-year-old daughter, Gabby, to sepsis in 2012. The couple have since raised awareness in their home state of Illinois to such a level that Gabby’s Law was enacted, requiring hospitals to implement sepsis protocols to improve early detection and treatment of sepsis. “It seems like yesterday our healthy and vibrant 23-year-old daughter Erin was with us. The devastation is real and constant, especially with the knowledge now that had I just put her caregivers on notice that we were concerned about sepsis and asked a few understandable questions every day, she would be here. Doing just this worked for me after I got sepsis myself two years ago, or my recovery might not have occurred. “There are no redos or make-ups. The pain is forever!